American composer Karen Fremar is a recognized composer of works for accordion, orchestra, chamber ensemble, accordion orchestra, string quartet, brass ensemble, woodwind quintet, solo voice, choir, piano, and electronically prepared tape. She holds the Doctor of Philosophy degree in Music Theory from the University of Kansas, Master of Music-Philosophy from KU, Master of Music-Composition from the University of Missouri-Kansas City, and Bachelor of Music-Accordion Performance (with distinction) from the same institution. Dr. Fremar studied composition with Gerald Kemner, John Pozdro and Milton Babbitt. She was an Assistant Instructor of Music Theory at KU and an instructor in the Electronic Music Studio headed by Dr. James Rothwell at the University of Missouri-Kansas City. Karen began playing the accordion at age two, as a student of her mother, Margie Fremar, and first performed publicly at the age of 2½. Her family operated the Fremar Music Studio for over 50 years training more than 500 music students in Fort Scott, Kansas. 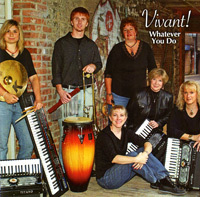 Karen is also an accomplished pianist and percussionist, and has taught students in accordion, piano, and percussion. While very young, she began writing arrangements for the Fremar Music Studio ensembles, and made her television debut at age 14 in New York. She first toured internationally at age 16, as featured accordionist and percussionist with the All-Students Groups U.S.A., sponsored by the Shenandoah Conservatory of Music in Virginia. Karen Fremar won the 1974 CIA International Competition for Virtuoso Entertainment Music in Stockholm, Sweden. In the same year, she won the silver medal in the Coupe Mondiale and the Swedish award for the best performance by a female candidate. She was awarded the United States Accordion Solo Championship title by the American Accordionists’ Association in Chicago. At the same competition Karen Fremar and Jeff Lisenby won the National Accordion Duet Championship title. In 1978, Fremar Publications was formed to publish works in all grade levels for accordion solo and ensemble. 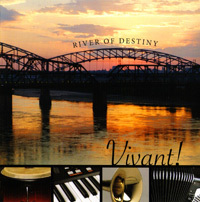 Karen has also published works for accordion through Ernest Deffner Publications. She has often been asked to compose works for juried college recitals and has enjoyed numerous collaborations with musicians in preparing original works for brass, percussion, winds, voice, mixed ensembles, electronic music, and accordion. As an arranger, Fremar has scored more than 250 works for accordion ensembles and mixed ensembles that include the accordion. 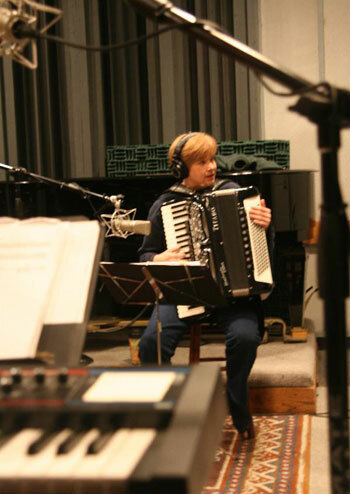 Her original compositions for accordion have been presented in the U.S. before several prestigious national music organizations including the National Federation of Music Clubs, the Music Teachers’ National Association, and the National Convention of Sigma Alpha Iota. 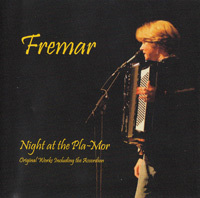 Fremar’s accordion works, from elementary to advanced grade levels, are often listed on the required test music lists of the Mid-America Music Association, the National Federation of Music Clubs, and the American Accordionists’ Association. Karen composed the 1981 Coupe Mondiale Test Piece, Reflections, and the 2007 Coupe Mondiale Test Piece, Fantasy, Op. 67, for the Confédération Internationale des Accordéonistes. 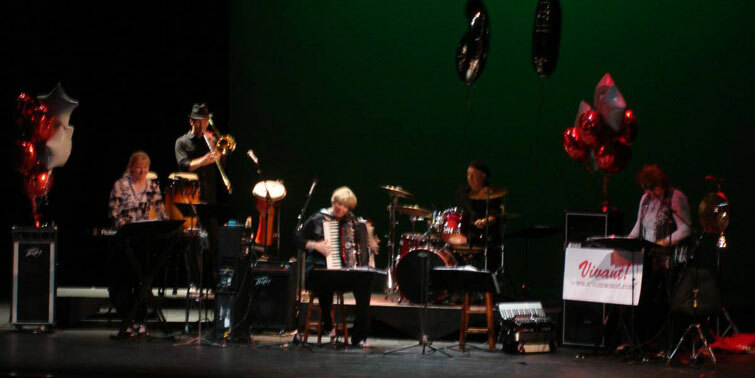 Fremar performs regularly on accordion and keyboards, is active in the recording studio, and has written and produced two albums with the mixed ensemble, Vivant! She is a member of A.S.C.A.P. and the American Federation of Musicians. Her compositions have been performed worldwide. She often serves as an adjudicator for several musical organizations. Fremar gave the New York premiere of her American Accordionists' Association commissioned work, Herricks Road, to honor Faithe Deffner, and has premiered and performed her composition, Night at the Pla-Mor, commissioned by the Courtney S. Turner Trust, on tour in the Midwest. Dr. Fremar is Chairman of the Board and President of the Fremar Foundation for Accordion Arts, a Kansas City based 501(c)(3) non-profit organization that supports accordion performance, new works for the instrument, and historic preservation of the instrument's heritage. She is listed in the World Who’s Who of Women-Fifth Edition, Who’s Who Among Students in American Universities and Colleges, Who’s Who in American Music, and the Dictionary of International Biography.